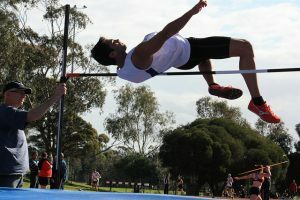 MUAC maintained its strong early season form at Round 3 of Athletics Victoria’s Shield competition, with the Division 1 men’s team taking a comprehensive victory and the Division 1 women consolidating their place on the ladder with an impressive second place. 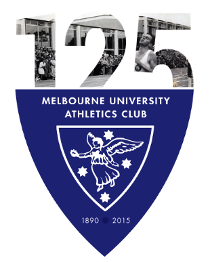 The Cox Plate wasn’t the only display of speed, power and finesse in Moonee Valley, with 25 Melbourne University Athletics Club athletes taking to the track and field at Aberfeldie on Saturday, 23rd of October. Strong team spirit was on show as athletes took to unfamiliar disciplines to garner points for the club. Five MUAC athletes won their events with Jarrod Pageot the standout performer. The 2010 Australian Junior Long Jump Champion won the 100m in 11.35s and the high jump with a leap of 2.00m, a personal best. MUAC also claimed the women’s high jump, with Janelle O’Sullivan and Hannah Alderton both jumping 1.75m to share the win. Cath Macrae won the women’s pole vault, clearing 3.30m and Anthony Hanna won the men’s pole vault with a clearance at 4.25m.